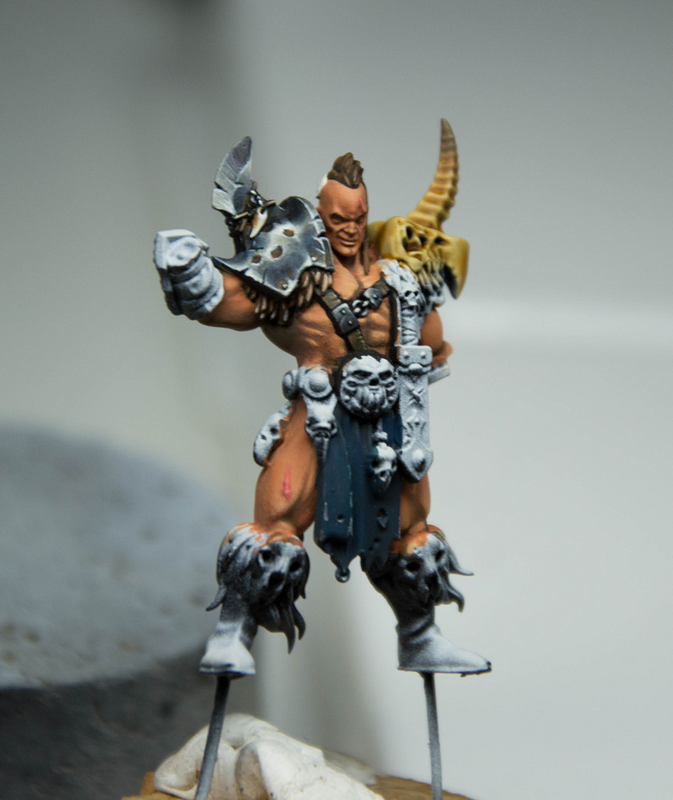 Recently I have been working on Darkoath Chieftain (clicky!) 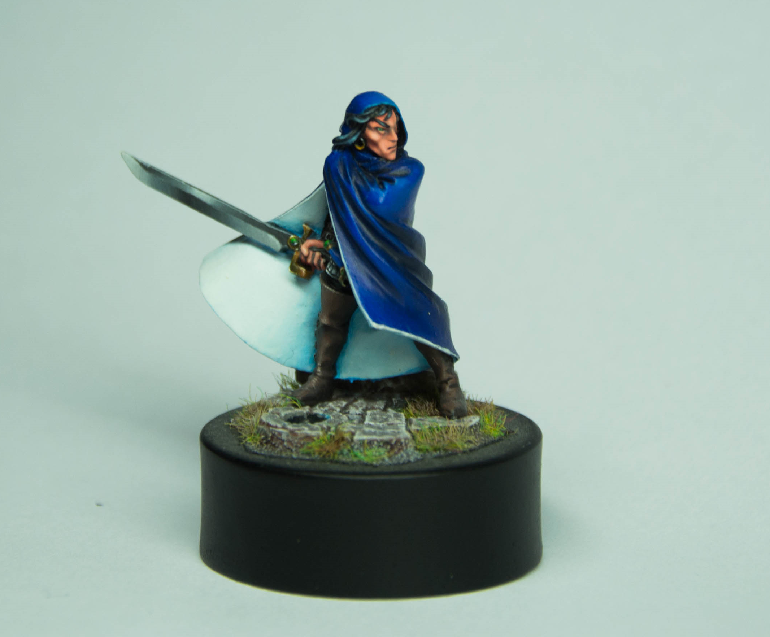 miniature from the silver tower set. The mini is really nice – he has this cynic smirk on his face and doesn’t look as a dumb barbarian, but rather as an evil chaotic tribe boss which focuses his day on exercises and plotting. Aaaanyway I believe I know THE perfect mix for tanned flesh. Shade: Base plus Dubai Brown – to an almost pure Dubai Brown. At that point, I added some Black. A bit Antares Red here and there to give the skin a more natural look. Highlights: Base + Yellowed Bone (Reaper Paints), after a point, started adding Linen White. I currently don’t have step by step approach. As I go back to shades / highlights depending on how the work is going. This works better for me, but is hard to share, as the process is not consistent. I usually start with the base paint on the whole area – then work on the shades – slowly building up to the darkest colour I use. Afterwards, I apply highlights, from those I slowly move back to the base colour. It is a bit chaotic, but allows me to build up the paintjob to point I like the effectOne thing, this kind of approach assumes you have mid-tones, as those smoothen the transition. This doesn’t work at all with extreme colour changes (like black to white). Last thing, when I was a kid, when painting anything, I liked to add a story to the miniature. Usually, when it was a character with lore – I simply imagined in line with their history or a particular situation. When the miniature had no past I usually set up a full story, sometimes including their origin. It helped me focus and get that nice peace of mind what really helped me to relax. My all favourite setting was Mordheim – it had that awesome mix of fantasy and post-apocalyptic setting which I don’t recall from anything else. I never played the game – but its history and characters were one of my favourite things about Warhammer.